The doctor’s surgery and the insurance underwriting office have a lot in common. Both rely on an expert’s individual intellect to assess, forecast and predict. Both offices continue to use tools and techniques that are largely unchanged in the last 100 years. Think stethoscope and statistical models. And both use human effort for tasks that can now be better done using modern technology, aka HealthTech and InsurTech. But the biggest thing they have in common is their massive dependence on data and the human mind to process it. However, as the sheer scale and complexity of data in the digital age has exploded, it has also proven a massive challenge to both industries. It’s simply inconceivable for a human to handle the vast and ever growing amount of data that is available today. And it’s a situation that is going to get increasingly difficult from a human perspective. Which is why the development of artificial intelligence (AI) and machine learning (ML) technologies will have a profound impact on the advancement of both the medical and the insurance industries. With this growth in data and the inability of humans to process it, the direction of travel is towards data processing machines (sounds like deja vu all over again!). However, unlike the ‘dumb’ data processing machines of the 60s, 70s and 80s, this is the HealthTech era of artificial intelligence, machine learning and big data. It’s no longer the stuff of science fiction. The question of whether medical functions can be performed by a machine has already been answered. In 2015, IBM’s Watson “greatly speeded up the diagnosis of a rare form of leukemia in a patient”. In the US last year, this report showed how a humanoid bot replaced expensive and time consuming visits to a doctor’s office when treating a young girl with cerebral palsy. Social Companion Robots from the likes of Jibo, Blue Frog Robotics and Tapia are the next generation of HealthTech and man to machine communication devices. Instead of simply being responsive, like Alexa or Siri, they will have the capability to talk back and engage. And they will be collecting lots of data about their human companions. This will include lifestyle and behaviour data that can be used to determine the human’s approach to their health. And their attitude to risk. In last month’s InsurTech Insights, I covered the Internet of Things and the smart home. I touched on the notion of a Semantic Insurer. This is where an ‘insurance machine’ is continuously fed a diet of raw data from numerous sources. As a result, the Semantic Insurer knows who you are, where you, what you are doing and how you are doing it. They know what your risks are and the cover that you need. 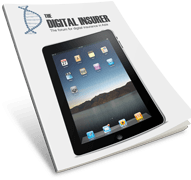 This is a digital insurance engagement model that reassesses and dynamically adjusts your insurance cover in real-time based on how you live your life. It is personalised and unique to you. Here’s a healthtech example that can be applied to insurance. One of Google’s 40 patents in digital healthcare is for an optical sensor that monitors your cardiovascular health. This device could be placed in your bathroom mirror. It works by tracking blood flow dynamics in the body and can detect subtle changes that might indicate an issue. It sounds like a gimmick. But the Google patent points out that monitoring at-home offers a more complete picture of cardiovascular health than a single point in time medical check. Now, imagine that this is one of the healthtech data points fed to your Semantic Insurer. Do you think the insurer could take proactive and supportive action if they knew from the outset? And, not to minimise their costs or up the premium but, as a support service, where the Semantic Insurer’s priority is the wellbeing of their customer. Whilst I believe that this is the future for insurance, there’s still a long way to go. Partly because the existing systems and legacy ways of working make it impossible for incumbent insurers to innovate from within. And because, in many cases, the technology isn’t yet complete or universally available to make the Semantic Insurer a reality. For example, there isn’t a way to automate the recording of what we eat and drink. This means data such as nutrition, water consumption or calorie intake relies on human input. So, to bring us back to the here and now, I spoke to two HealthTech founders working in the insurance space. Alistair Wickens and Sebastien Gaudin are the CEOs of Quealth and The CareVoice respectively. And both have built HealthTech platforms that are being used by insurers today. Quealth is a universal health score. They were the first to market with a Healthtech solution combining medical and lifestyle data to create the equivalent of a credit score for your health. The Quealth app aggregates health and lifestyle data from multiple sources to score your risk of developing one or more of the Big Five preventable lifestyle diseases. That is cardiovascular, COPD (lung), diabetes, dementia and cancer. Using the Quealth score and the regularly updated data sources, Quealth provides clinical relevance and introduces a series of highly personalised interventions to support personal health and lifestyle goals and make a positive impact on future health risk. Quealth is a tremendously powerful risk analytics and prediction platform which has been validated by leading academics at the University of Nottingham. The outcome is that the Quealth score has been rated as “one of the most accurate risk prediction tools in the market” with an accuracy level of 75-80%. The score is now available as an API-based model, allowing insurers to build out their own apps and service propositions based on this technology. “The exciting thing is that we are starting to understand more about individuals based on data which exists without the need for an individual physically entering data into their phone (i.e. data derived from increasingly-sophisticated wearable technologies) – and this includes understanding and integrating genomic-based data. To be clear, the direction of travel is towards the collection of meaningful data becoming highly automated with very little input from the user. 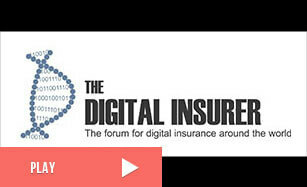 This is a key step in the evolution of the semantic insurer. The following video explains what Quealth is and what it does for you. Quealth is so much more than just another health scoring app. Alistair explained, “the true measure of a health app is its ability to change behaviours – whether that is encouraging someone to become more active or maintaining compliance with their medication – and this is where our behaviour change and engagement programmes come into their own”. The application of the Quealth score and behaviour programmes span many industries. But the reason why it is such an obvious no-brainer for insurance is that it has no equal in the traditional approach to risk assessing an individual’s health and well being. Today, still, health insurance requirements are decided by a single-point-in-time process. This is a one size fits all process based on unverified customer supplied answers to questions that are impossible to answer accurately and don’t reflect the future, only the past. Users are then grouped into generalised pools of risk that takes very little into account about the unique circumstances of the individual. Thanks to Quealth’s ongoing engagement, it provides the user something of value and, in return, ensures that an individual’s health status is regularly revalidated as a result of health and lifestyle data been monitored in real time. This is an important point for the insurance industry. It signals the trend for insurers as they shift towards being proactive risk managers. Because, just as we are seeing with telematics and IoT in motor and the home, harvesting multiple data sources in real time enables insurers and the insured to reduce the risk of a loss. When this happens, insurance changes from being a compulsory or begrudged purchase to a value add service. Insurers will start thinking like Amazon and organising their businesses to serve the customer, not minimise the losses. I first met Sebastien Gaudin, the CEO and co-founder of The CareVoice last November in Singapore. I was chairing The Digital Insurer Asia Conference and Sebastien was a finalist in the InsurTech Awards session. The CareVoice is a great example of HealthTech meeting InsurTech. Sebastien has a healthcare background and is a pharmacist by training. He started The CareVoice to address the gap between the providers and the consumers of healthcare. He knew the supply and demand challenges first hand. And how difficult it was for patients (customers) to have trust in the healthcare provision system. And this led him to the world of insurance. Sebastien explained; “We soon found that there were three ways that we help insurers be more effective in the healthcare market. “First, addressing trust. Contacting the insurer to find out what is covered in their plan or where they can go for treatment is a barrier for customers. “Second, creating the link between cost and quality. In the absence of a meaningful quality rating system, customers use cost as the measure of quality. The most expensive must be the best, right? The CareVoice is a SaaS based HealthTech platform that enables customers to manage their insurance provided healthcare provision. The CareVoice, like Quealth, is a free to download mobile app. Anyone can use the basic functions. But for the insurance customer, they get access to the VIP service. The service is personalised for the customer based on their individual or group policy terms. The HealthTech platform provides digital guides for the customer to better manage their care. It helps customers select their healthcare providers and professionals based on the specific arrangements of the insurer. And there’s a review and feedback process for customers to rate the performance of each healthcare provider. This is an important piece of The CareVoice offering. Because it is this customer led rating system that enables insurers to manage the quality dynamic. Customers are better informed about their healthcare provider and insurers are better able to manage the customer experience they want for their brand. The latest development on The CareVoice platform is the claims process. Sebastien told me why, “Customer feedback told us that the process is an unpopular hassle. Insurers want to be informed straight away but customers are worrying about their health, not contacting the insurer. The CareVoice is already being rolled out in China, has contracts in place with Axa, PingAn and Chubb for over 150k VIP members (individual and group customers). Quealth and The CareVoice are great examples of the new generation of tech platforms that will replace the traditional legacy systems. IMHO, the new business model for insurance, certainly in personal lines, will be dominated by highly automated, digital only, platform-enabled insurers. Readers have seen me discuss this model before here. Insurance will move to a value add service provided by trusted consumer brands. Here the focus is completely on the customer (think Bezos level obsession). They will be powered by highly automated tech platforms, such as the likes of HealthTech firms like Quealth and The CareVoice. And underpined by experts in managing risk capital. This is the domain of the reinsurers. The insurance value-chain will be substantially automated and costs will be cut by a 10x order of magnitude. This is the future for insurance, IMHO! On 30th January, these three giants issued this press release announcing a non-profit making cooperative venture to provide a healthcare solution for their US employees. Few details were included in the release, but it still had the ability to affect the markets and initiate a flurry of articles about the imminent shakeup of the healthcare industry. Frankly, from what I’ve seen, there is little substance and a lot of speculation in many of the stories subsequently written about this announcement. What is clear is that these three major employers need to do something for their employees. Between them they have over a million workers worldwide. The majority of them are in the US. Why? Because the US healthcare system is broken. The US is the only developed country in the world without a universal healthcare system. Yet it spends more of its GDP on healthcare than any other nation in the world! As Buffet staed at last year’s shareholder meeting, “medical costs are the tapeworm of American competitiveness”. The US healthcare system is dependant on insurance to finance it. Obama introduced the Affordable Care Act, aka Obamacare, which took capital gains tax from the wealthy to subsidise healthcare insurance for the poor. Trump vowed to dismantle Obamacare and that’s what he’s doing without putting an alterative system in its place. So, my take on the announcement is that it’s the action of three major employers taking the matter into their own hands. They want to better manage costs and the impact of ill health and well being within their own businesses AND provide a better solution for their employees. If they succeed (and why won’t they), of course, they could take this HealthTech/InsurTech solution out to market. But for now, I think they have matters closer to home in mind.